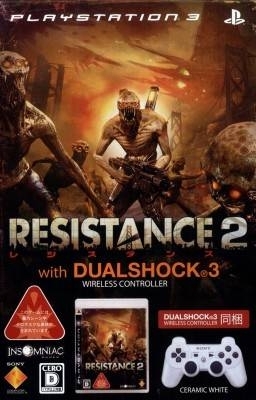 Is it everything a sequel should be, or do a few awkward design choices keep it from being irresistible? 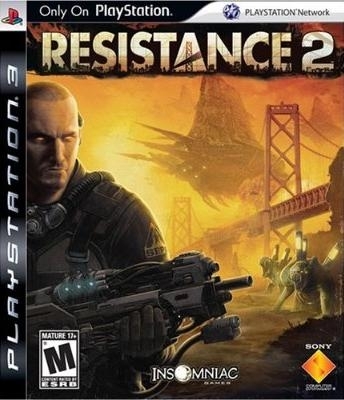 From the moment it was announced that the sequel to the Playstation 3 launch hit, Resistance: Fall of Man, would be titled Resistance 2- sans a catchy subtitle - I knew something was amiss. 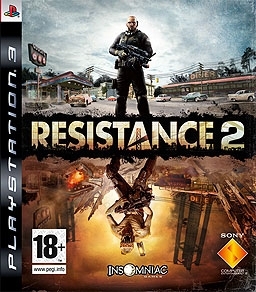 It turns out I was correct because this is not exactly what I had in mind; Resistance 2 definitely feels less like the original than I expected. That is not to say this is a bad game because, despite its awkwardness overall, it is a better title than the original. This time around the team at Insomniac has delivered a grander scale, an expanded competitive multiplayer, and an innovative approach to cooperative play. 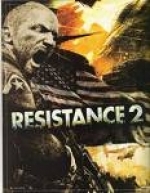 The game picks up exactly where the first Resistance left off. Nathan Hale has been abducted by a strange band of military personnel and is transported to a US army base in Iceland by helicopter. The base comes under attack by the Chimera who, despite their defeat in Britain, continue their relentless assault on humanity. The first mission, an epic battle against Chimeran hybrids and giant mechanical stalkers, introduces some of the new features (including the revamped control scheme) and sets up the story involving the escape of a highly dangerous experiment gone wrong called Daedalus. After the first mission two years pass by and we are introduced to Nathan as part of an elite task force named SRPA. The Chimeran invasion strikes San Francisco forcing Hale back into action with only 19 hours until he transforms into a Chimera himself. This time around the story is told completely from Hale’s perspective as he and his companions make their way across the country. Hale steps out of his quiet phase and actually delivers the amount of dialogue expected of a main character. The problem is that neither the script nor Hale as a character are compelling enough to keep you invested in the storyline. The voice acting is well done and some of the supporting characters do have interesting back-stories but ultimately the delivery falls short, just as it did in the first game. Well crafted hidden Intel documents do make a return, but are harder to locate given the massive size of each level. Many questions from Fall of Man are answered but just as many are posed and left unresolved. The game needs a narrator like before to tie everything together nicely and help the player keep up with the frenetic pace of the story. 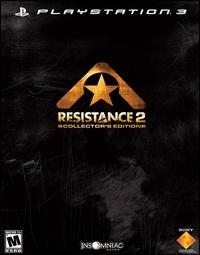 The controls have been completely revamped and are among Resistance 2’s best features. More akin to the controls from Call of Duty, the weapon zoom has been reduced and mapped to L1 instead of R3. L2 crouches and sprints, R1 is primary fire, square reloads, triangle toggles between weapons, and R3 performs melee or knife attacks. They are instantly accessible and are perhaps the best of any shooter on the system. Gameplay still encourages experimentation when it comes to wielding weapons but sadly limits the number of guns you can carry to two at a time, in line with what has become the standard for First Person Shooters. Along with increased the difficulty, this change makes choosing the right weapon all the more important. Much of your arsenal from the first game returns with visual redesigns but some weapons such as the Reaper are missing completely. New weapons, however, are just as inventive as the mainstays. A magnum style pistol with exploding bullets as secondary fire, the Wraith, a machine gun that produces force barriers, and the Splicer which fires ricocheting buzz-saws capable of dismembering enemies limb from limb are the highlights of the new gadgets available. 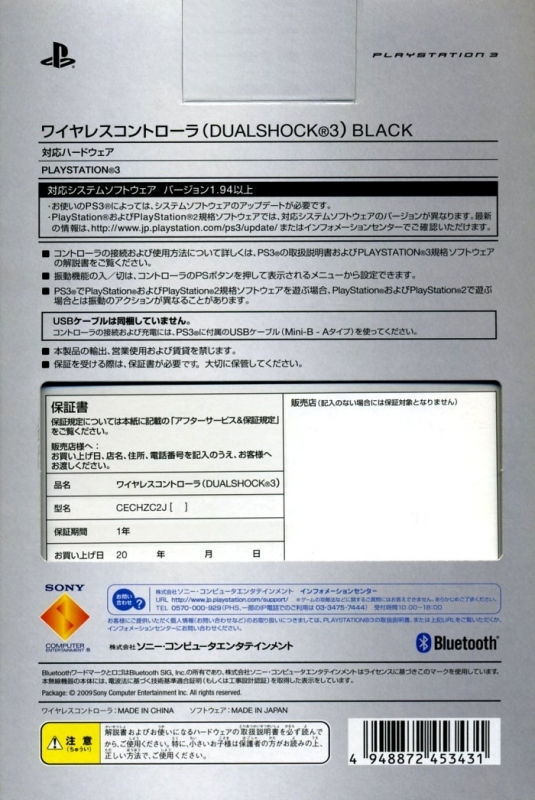 Combat during the single player remains relatively unchanged. 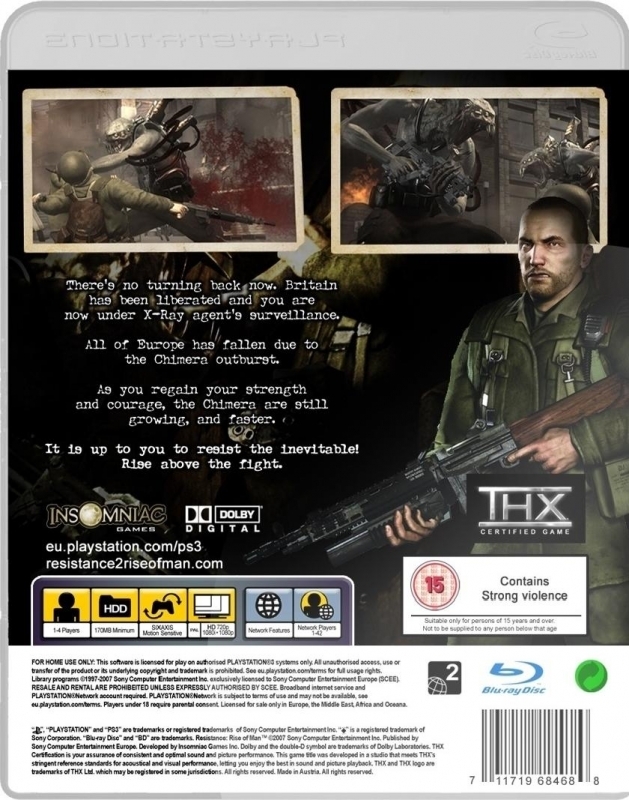 Each mission has Hale, either alone or accompanied by other SRPA soldiers, out to prevent the Chimera from overwhelming a US stronghold or trying to procure an object that could ensure victory. Despite having no formal cover system, knowing when to take cover is the only way to ensure survival. The enemy AI is much smarter and more aggressive than before, contributing to the at times brutal difficulty of the title. The Chimera return in top form. There is a greater variety of enemies, including the menacing zombie-like Grims and the feral Chameleons who use their invisibility to get the best of you. Though the levels are linear, there is never a sure fired way to defeat a wave of enemies, forcing the player to employ different tactics. For instance, one area challenges you to take on a Titan by yourself with nothing to take cover behind except cars that will explode and kill you if hit. Here your options include trying to outrun the Titan as you make your way from car to car, but once this fails you realize that the best tactic would be to take cover behind an already destroyed car which can’t be blown up again… only to realize the Titan can smack the car away with one strike. The point is that this game is much harder and will often place you in seemingly impossible situations, like facing off against three Titans and a swarm of arachnids by yourself while low on ammo, so you better be able to think on your feet. Because Hale is part of an elite unit rather than a contingent of infantry soldiers the WWII feel of the first game is lost, making this a fully Sci-Fi shooter. At times you will still be part of full on offensives, but not often enough to reconcile this game with the feeling of its predecessor. Another disappointment in the campaign is the lack of vehicle segments or any gameplay variations to break up the first person action. Instead there is more focus on working cooperatively with your squad mates, along with some water based segments where you are incapable of firing your weapons. Another significant addition is the inclusion of boss battles which were lacking in the original. These encounters are usually against monsters and vary in quality. For instance the bout with a 300 ft Leviathan above the Chicago skyline is not necessarily as epic as it sounds, while a terrifying close cornered chase with a nearly indestructible Swarm provides one of the games more thrilling moments. America serves as the backdrop for all the mayhem this time around and provides a nice line-up of locales and set pieces to traverse. The San Francisco Bay, canyons and caverns of Utah, and decimated streets of Chicago are just some of the places you’ll square off against the Chimera. The game also focuses on showing the other side of the American resistance by bringing you to the abandoned suburbs where old photos and warped corpses reveal the horror of what transpired. The atmosphere is superb and the best addition is the inclusion of radio segments where a survivor from Philadelphia who saw his wife taken by the Chimera laments the destruction around him. 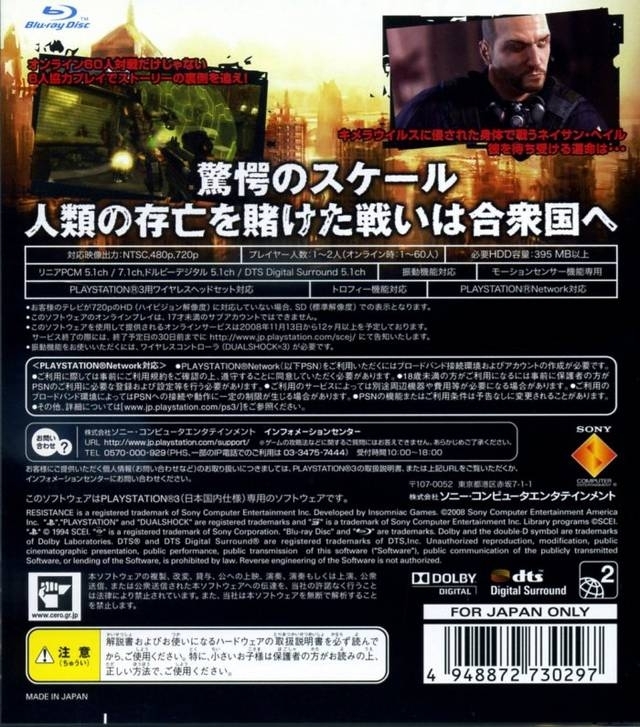 The campaign mode consists of a Prologue and seven sprawling chapters which will take about 10 hours to complete in total, down from the first game but still longer than the average shooter nowadays. The option to tackle the campaign with a friend is missing, and this along with other shortcomings already mentioned in this review make the single player feel like a mixed bag. 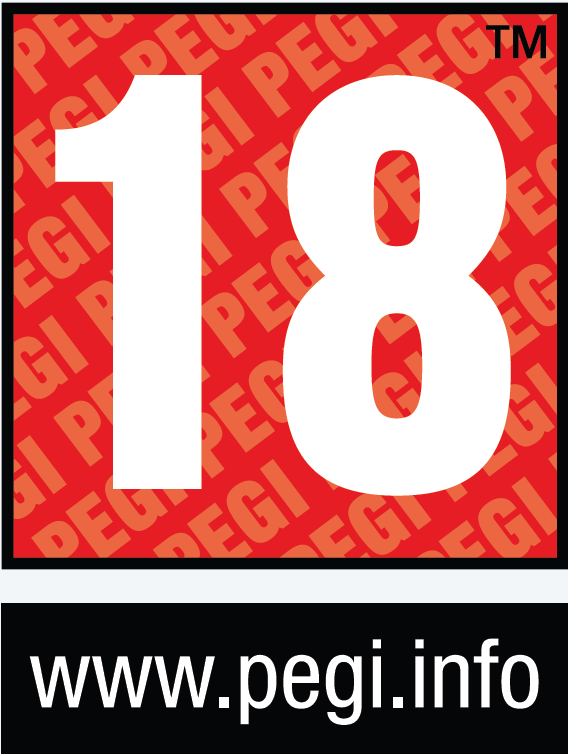 It is still an above average, and at times excellent experience, but it is likely to fall short in comparison to the high expectations of fans of the first game. Visually Resistance 2 looks very good. The superb art direction from the first game benefits from a much needed infusion of color. Textures, lighting and particle effects all receive an upgrade and technically the game runs as smooth as ever. The animations are strong and believable for both human and Chimera alike. The music and sound design are equally as impressive. The overall presentation (other than the story) is superb, even the main menu features a well rendered background and seamlessly transitions between offline and online modes, given a strong enough internet connection. That brings me to the massive online multiplayer. 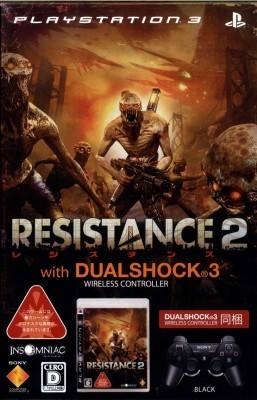 Resistance 2 ups the ante by providing 60 player battles completely lag free, a first for the PS3. Several changes have been made since the first game. 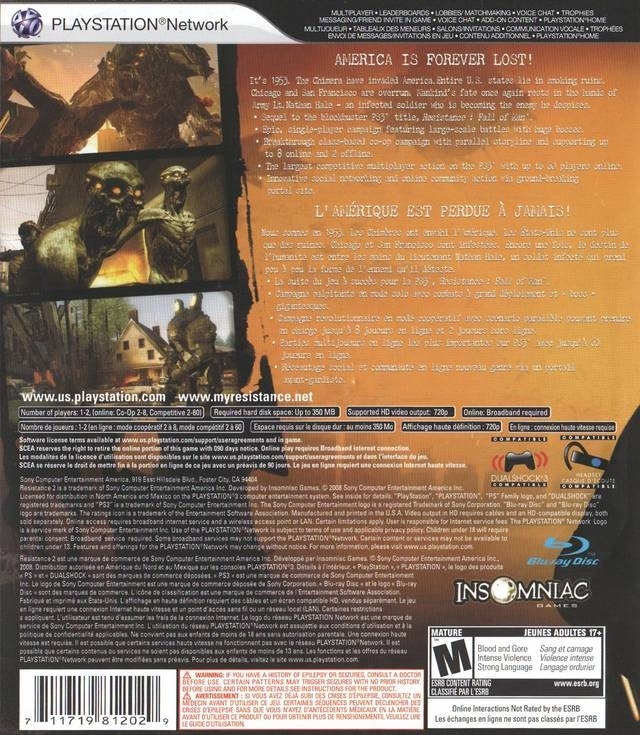 The competitive mode bears resemblance to Call of Duty 4 by offering power-ups, dubbed Berserks, that when earned give advantages such as greater firepower, more powerful weapons and momentary invisibility. You’ll also gain XP for kills which will level up your character, earning more weapons and other equipment along the way. Deathmatch, Team Deathmatch, Skirmish and Core Control are the modes available. Each team based mode manages to keep large matches from getting too hectic by dividing the teams into five man squads that will encounter another squad on the opposing team. This concept works well, especially in the case of the objective based Skirmish mode. Objectives include taking out a specific opponent or defending a base. 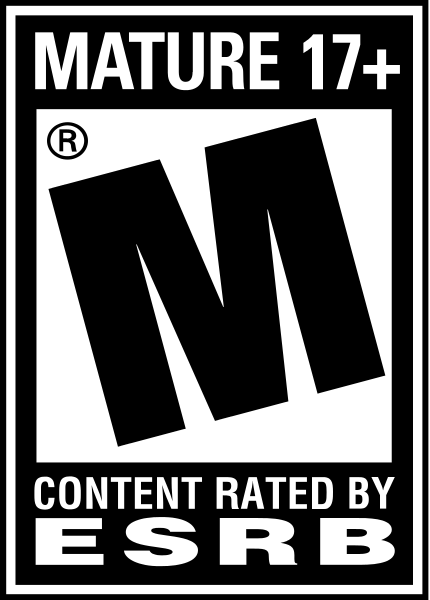 The maps are all based on single player levels retuned for multiple users. 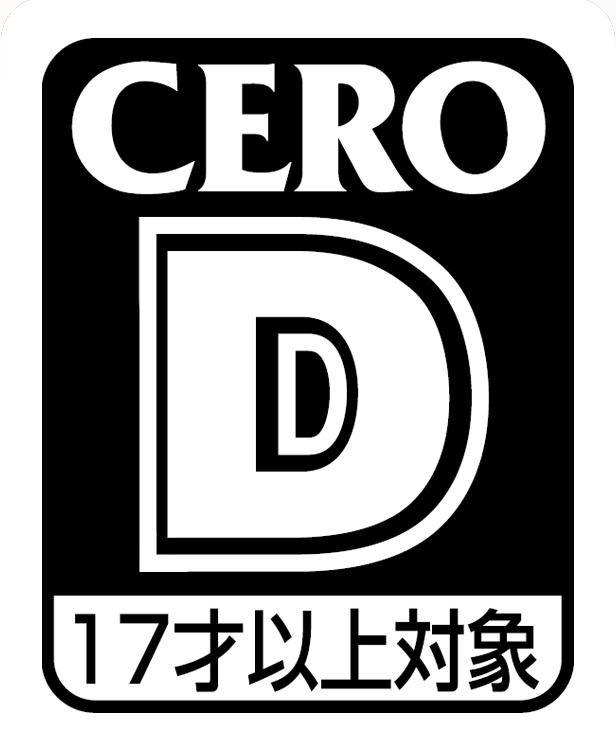 In a full game of 60 these maps are large enough so that even then they can still feel too big. The game is fast paced fun in multiplayer and there are enough options and reasons to level up to keep you playing and invested in your performance. 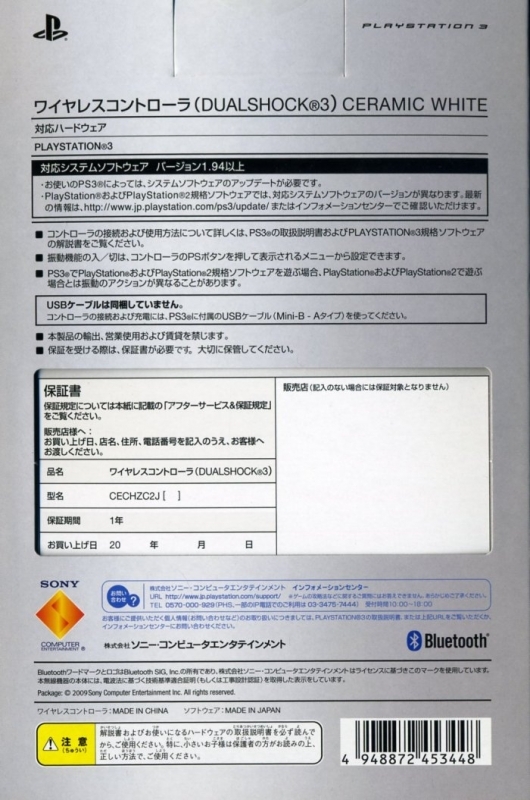 However, the surprise MVP of the package is the cooperative mode. In this mode 2-8 players team up for class-based warfare against the Chimera, with a story that parallels the campaign mode. This story isn’t a narrative per se, but information that sheds light on your team’s motivation and mission at hand. There are three classes to choose from: Medic, Spec Ops, and Soldier. Medics are in charge of healing other players using energy they drain from enemies with a ray exclusive to the cooperative mode. Spec Ops are the munition experts in charge of keeping their allies well stocked on ammo and providing long range support. Soldiers are the machine gun toting big men of the group, with the most firepower and the ability to produce a shield to protect them and their teammates. All three classes are fairly balanced and available at all times. The cooperative mode plays out MMO style, where players work together to fend off enemies, gain XP and progress through missions. Each class gains different abilities as they are levelled up, which along with personal preference will likely dictate which class you choose most often, though the best strategy would be to select the class that would best support the needs of your team. Game over occurs when every member of a team dies or an objective is failed. All the enemies you face in the single player make an appearance in this mode and will respawn often so as to keep up the pressure. Instead of bosses, teams will square off with super-powered enemies (called Prime Arcs) that take more effort to take down. Communication and teamwork are a must, so make sure you and your teammates have proper microphones. The genius of the cooperative mode is in its design. Some levels are ripped from the story while others focus on locations from the first game in England. The geometry and mission structure is somewhat randomized, which means playing through the same levels more than once isn't monotonous. Playing with a skilled party of gamers can be immensely satisfying. Like the competitive portion, this mode is both lag free and available split screen. 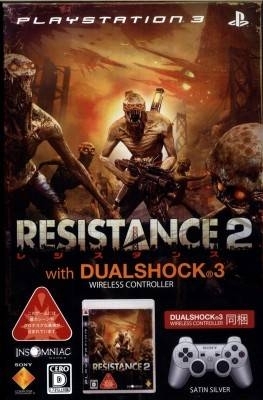 Both modes add a significant amount of value to Resistance 2 and make up for some of its single player shortcomings. 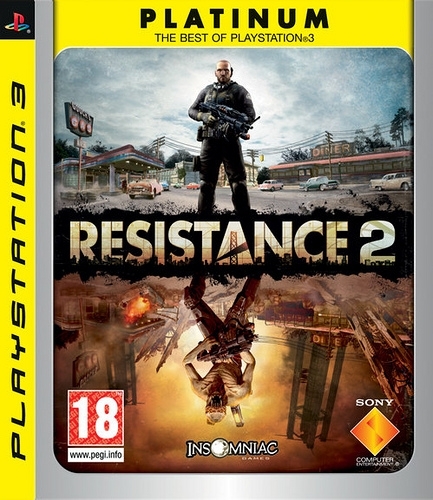 In the end, Resistance 2 proves to be a good sequel to Fall of Man, but it still feels like it could have been a great one if not for some questionable development choices. If only some of the story problems had been worked out in order to provide for a more cohesive game universe, or there was more variety in the single player, this would have been an excellent title. But in spite of the initial awkwardness of the single player experience the game pulls through thanks to its excellent online offerings. 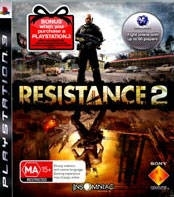 Resistance 2 offers enough thrills, technical marvels and value to satisfy most fans of the original - and shooter fans in general - for hours on end.